The PSL tournament is going to start in Dubai on 14 February, 2019 with the opening ceremony and the first cricket match presenting Lahore Qalandars who will take on defending champions Islamabad United. Qalandars are anticipated to be fan dearest with A B Devilliers in their ranks. Watch PSL 4 Opening Ceremony, Celebrity Performance live on Geo Super Live. The tournament will moves to Pakistan for its final matches in Karachi. Karachi and Lahore would play two cricket matches in front of their home crowds. It is important to start any ceremony or a event with a cosmic bang to set the tone. In last season, Pakistan Super League (PSL) grand opening ceremony glimpsed performances from international super stars such as Shehzad Roy and Jason Derulo. Do you know who will perform in the season? Do you know where is going to be held opening ceremony? If you don’t know then don’t worry we will give complete and detailed information. Pakistan Super League will glittered its ceremony in Dubai. 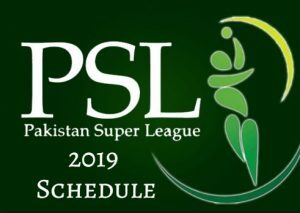 The PSL official song 2019 is going to be released on 18, January 2019. According to official details, the song is titled as “Ye Khel Diwano Ka Hai” will be released on Friday at 8:55 tonight. PSL 4 title song is sung by Fawad Khan. PSL 2019 anthem is going to be Super Fit among fans. Below Watch and download HBL PSL 2019 Offical Song. The psl 4 opening ceremony, which is planed for 14th February 2019 at 8 pm at the Dubai International Stadium. Not only national local but also the international stars are going to give their performance in the opening ceremony. A Boney M, Euro-Caribbean vocal group and Pitbull are give performance in the glittering opening ceremony of the PSL 4, Pakistan’s domestic competition not only international but also includes other key performers such as Fawad Khan, Young Desi, Aima Baig, and Shuja Haider. American rapper Pitbull is known as “Mr Worldwide”. Watch PSL Live Opening Ceremony on Ptv Sports and Also On Geo Super Live. You can watch Every PSL Match Live Streaming Online on many Live Platforms Crichd, Sky Sport, Crictime, Willow Tv many other live streaming Tv Channels. Stay Tuned for Live Opening Ceremony of PSL 4 on PSL Live Streaming Here on PSLT20.info. how and from where I buy the tickets of the matches. how and from where I buy the tickets of the matches.so much excited for PSL.